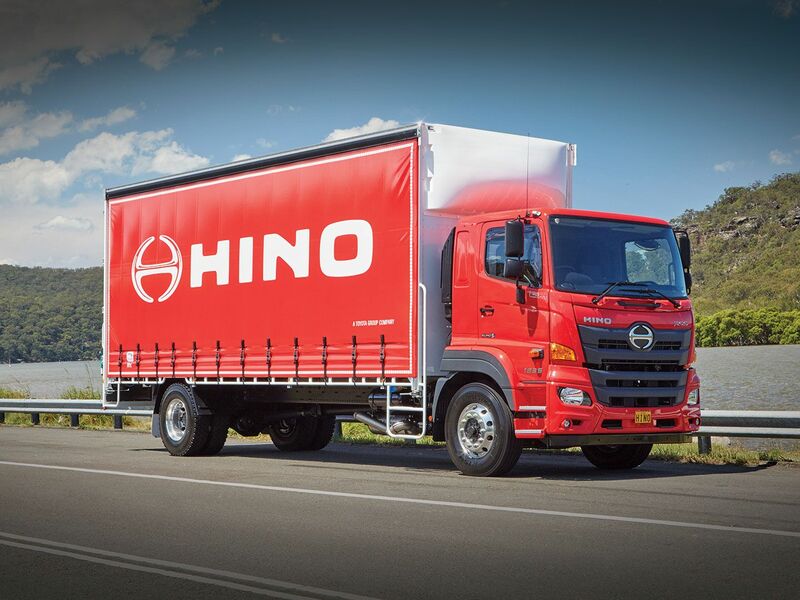 The upcoming arrival of the new Hino 500 Wide Cab models not only marks the first full model change of the 500 Series in 14 years, but also fills several important gaps in the overall Hino truck range in South Africa. 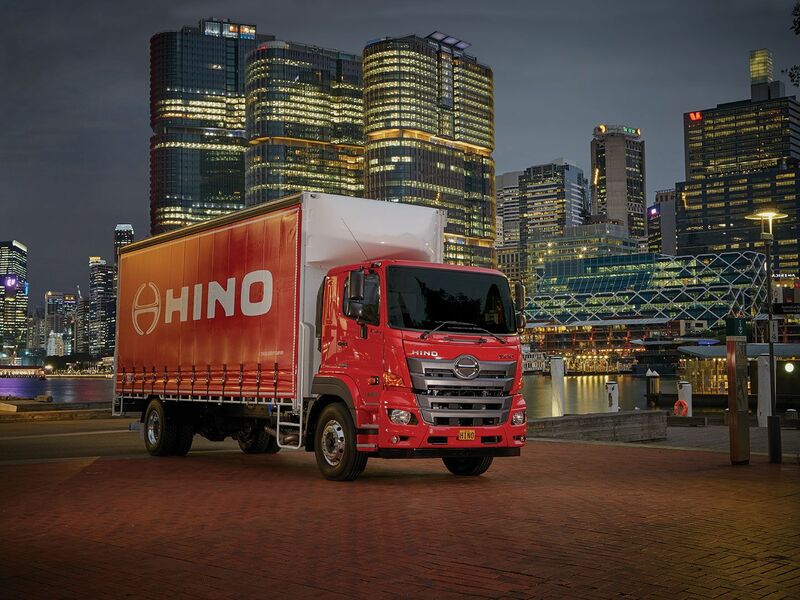 Hino has been in a significant player in the local truck market for the past 45 years and is now gearing up to become an even stronger competitor with an enlarged product range including the availability of 6x4 models and automatic transmission in the 500 model line-up. 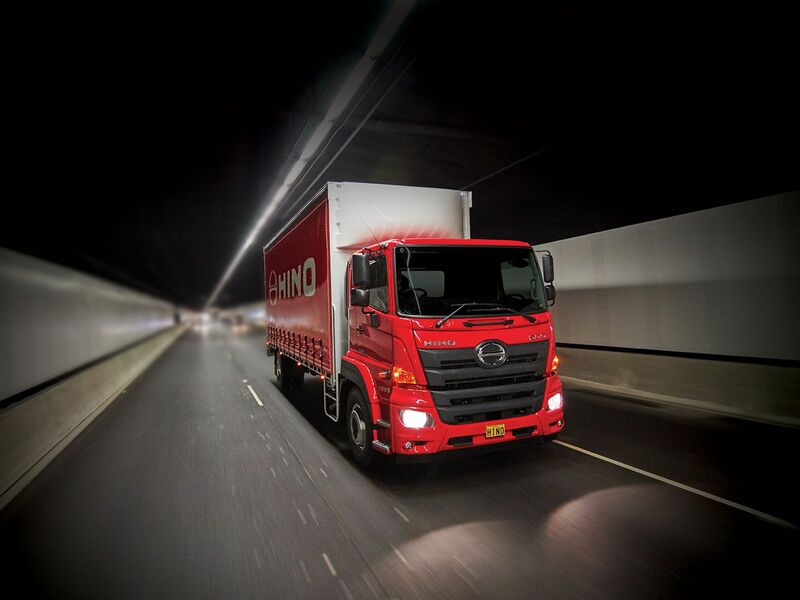 View the lastest Hino 500 Wide Cab Special. 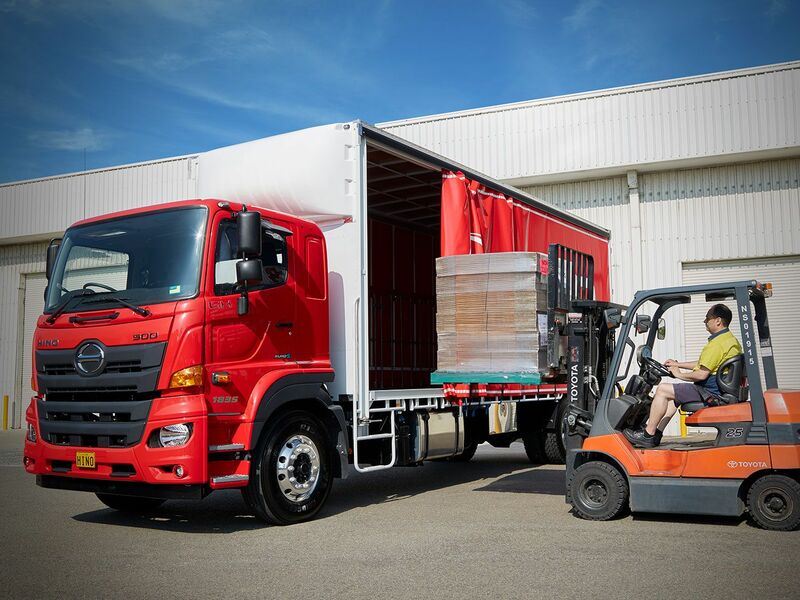 Other new features for the 500 Wide Cab models include wheelbase options – long and super long on 4X2 and 6X2 models – as well as two suspension options – steel springs or airbags on 6X2 models – and the addition of three 6x4 models, available with on- or off-road cabs and suitable for use as Freight Carriers, Tippers and Mixers. The air suspension system provides height control of the truck for ease of loading and unloading. There is a remote control to make this operation convenient for the driver. 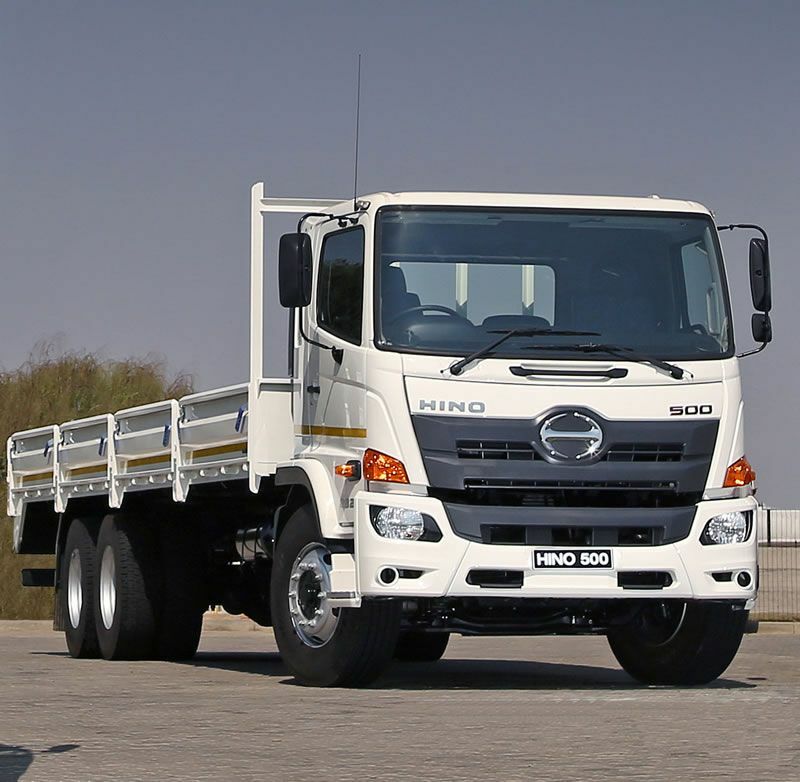 The new 500 Wide Cab, which goes into production at the Hino assembly plant in Prospecton, near Durban, in early November is an important addition to the Hino South Africa arsenal as it extends the 500 Series offering from 16-ton GVM upwards from five to 12 models. The existing Hino 500 range below 16-ton GVM continues with upgrades scheduled for January next year. 1322 4x4 Single Rear Wheel. By the time the new models go on sale, early in 2018, Hino SA will have undertaken the most extensive launch programme in its history. It kicked off with an information-gathering trip by five journalists to Hino in Japan in July, continued with roadshows in Gauteng, KwaZulu-Natal and the Western Cape which involved more than 500 dealers, customers, body builders and journalists and topped it off by participating in the four-day, business-to-business Futuroad 2017 Expo in Nasrec. “Although the Wide Cab 500 trucks are all-new they were designed and developed with Hino’s traditional Quality, Durability, and Reliability (QDR) very much in the forefront of objectives set by the product engineering team,” explained Ernie Trautmann, Vice President of Hino South Africa. Hino’s proud reputation for QDR is backed up by unmatched displays of reliability in the gruelling Dakar Rally: 26 consecutive finishes since 1991, without a single mechanical retirement, with eight successive 1-2 finishes in the category for trucks with engines of under 10-litres capacity between 2010 and 2017. Total distance covered in these events now totals 419 950 km. 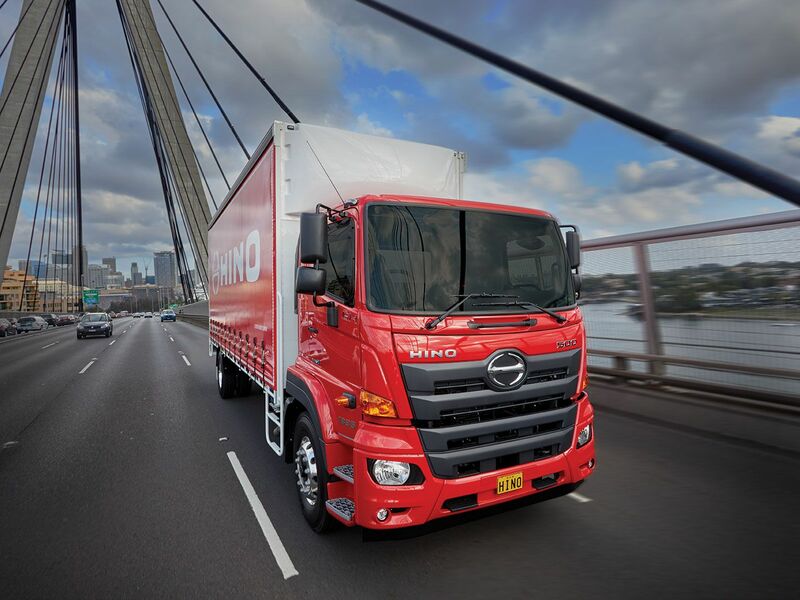 “When these new 500 models are delivered to customers in South Africa they will have the full backing of the international Hino Total Support programme, which involves building close relationships between Hino Japan, Hino South Africa, its dealers and customers. 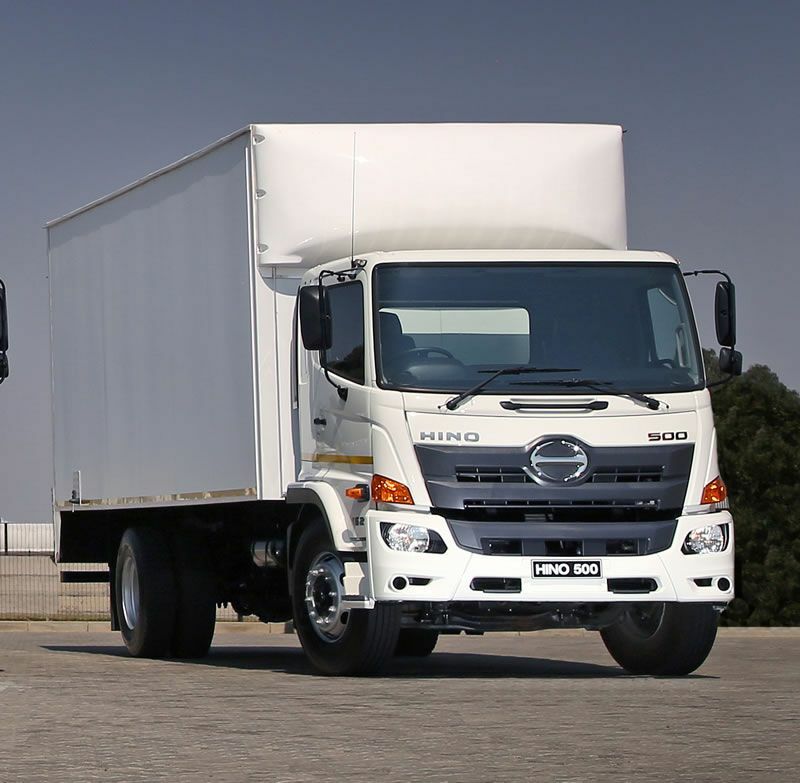 This strategy has been bearing fruit in South Africa for several years already, with Hino coming out top in both customer and dealer surveys,” added Trautmann. 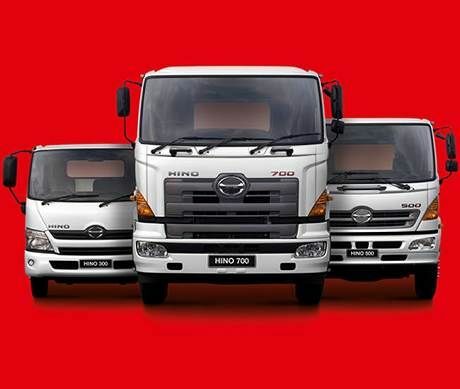 Changes compared to the previous Hino 500 models are extensive. They start with an all new chassis frame which is bolted rather than riveted and has a hole pattern on the web surfaces for easy body mounting, while the frame is wider in the engine compartment area for the fitment of larger and more powerful engines. The high strength web frame is common for all models, to simplify replacement component availability. The layout of the ancillaries on the chassis has been revised to provide more utility space for customers. A new, wider front axle provides increased load ability – from 5.5 to 7.5 tons - and a 7% tighter turning circle. The adoption of a trunnion rear suspension system improves durability and allows the fitment of a cross-differential locking system for 6x4 models. Three engines are now used in the 500 range, all with more power and torque than the engine fitted to the previous 500 models. New Hino manual transmissions are specified, either the six-speed MX06 or nine-speed M009OD/DD, with the option of Allison 3000 or 3500 fully automatic, six-speed transmissions for certain models. A new rear differential with increased torque rating is fitted, which improves reliability and durability. Another new feature that improves QDR is a 65 mm wider radiator core for improved cooling. The larger cab has new exterior and interior styling with an extra step for easier cab ingress and egress. There are two cab mounting methods, depending on the model, one semi-floating and the other full-floating (6x4 models) for enhanced comfort. The new 500 models all offer better performance without sacrificing fuel efficiency, with higher gear ratios resulting in lower engine revolutions. 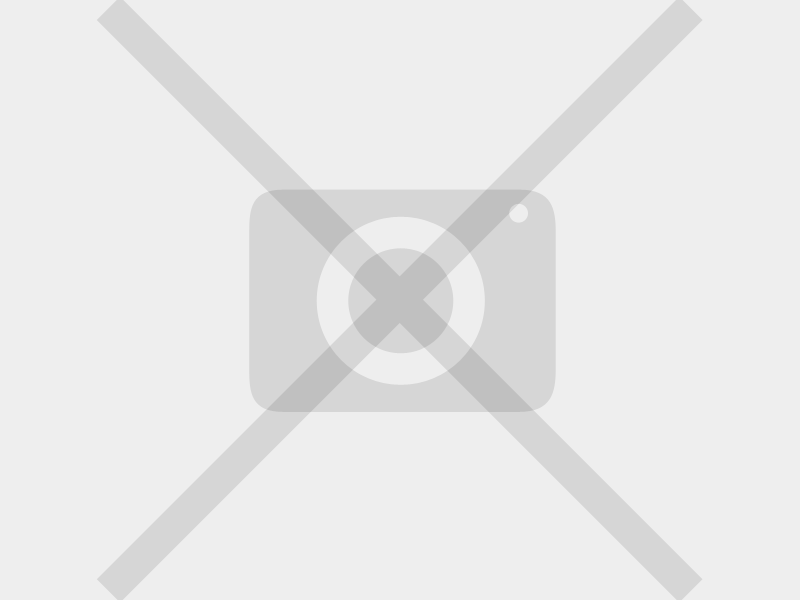 There are improvements in hill climbing, pulling off on a slope and acceleration. There is now a choice of three engines, whereas the previous Hino 500 models had only one engine, the 8-litre JO8 developing 184kW (251ps). The latest models have a JO8 Lo developing 191kW (265ps) of power and 794N.m of torque, a JO8 Hi putting out 206kW (290ps) of power and 883N.m of torque, as well as the 11-litre P11 which develops 257kW (360ps) of power and 1 275N.m of torque. These changes equate to an improvement of 3.8% more power and 7.4% more torque from the JO8 Lo and 12% more power and 19.5% more torque from the JO8 Hi. Several important safety and security features have been incorporated in the new 500 range. These include a driver’s side airbag, seatbelts with emergency locking retractor, substantially improved headlight illumination on low beam, anti-skid (ABS) brakes, Hino Easy Start with adjustable brake release timing for pulling off on a slope, an engine immobiliser and central locking. The dashboard and instrument panel have been redesigned for improved ergonomics. The instrument panel uses both analogue and digital instrumentation. Standard equipment includes air conditioning, cruise control, power windows and a radio/CD audio system. Access to the cab is made easier with additional sure-grip steps for both the on- and off-road cabs as well as a much larger inside cab grab handle. The driver and front passenger seats are adjustable, while the driver’s seat has air suspension for added comfort. The cabs use either semi-floating or full-floating mounting of the cab to the chassis to contribute to the comfort of the occupants. 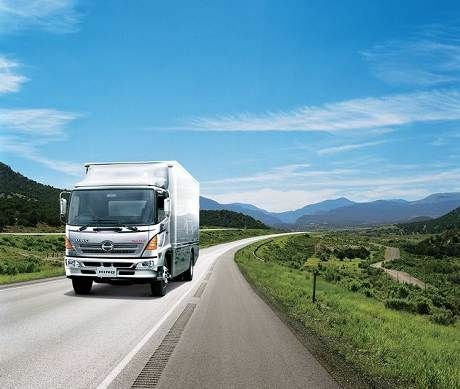 The worldwide research to develop the new generation Hino 500 models included South Africa, which is considered an increasingly important country for Hino as it expands its coverage of the truck market in Africa, particularly in the Sub-Saharan region. 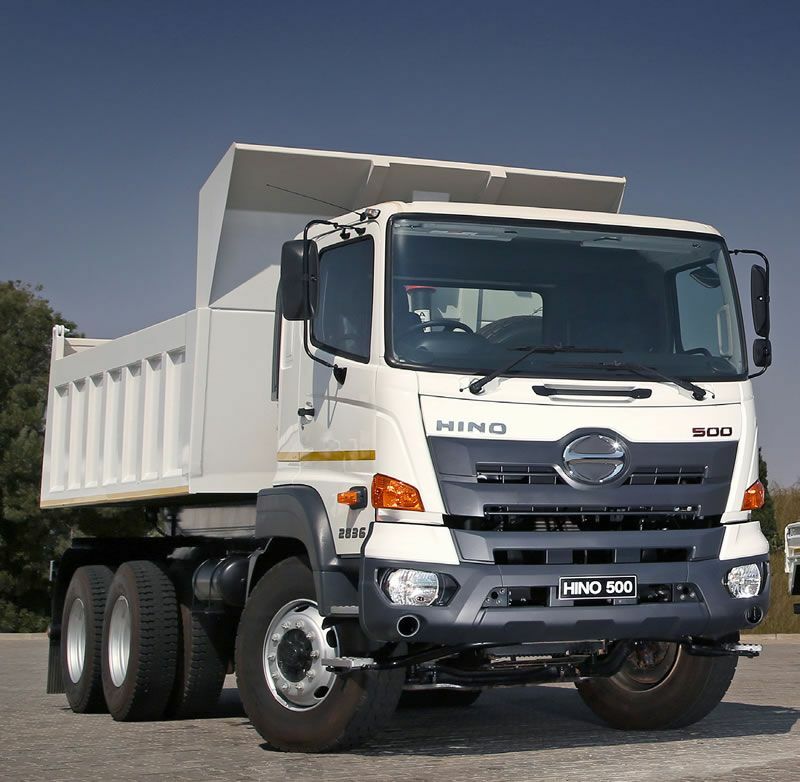 Hino specialists who visited South Africa to collect data and evaluate local trucking operations included Mamoru Tamazawa, the Chief Engineer for the Hino 500 project. He has been with the company for 22 years and has headed up engineering teams designing and developing 10 new models in this time. “The project to design a new Hino 500 range was launched at Hino in Japan in 2010,” explained Tamazawa. 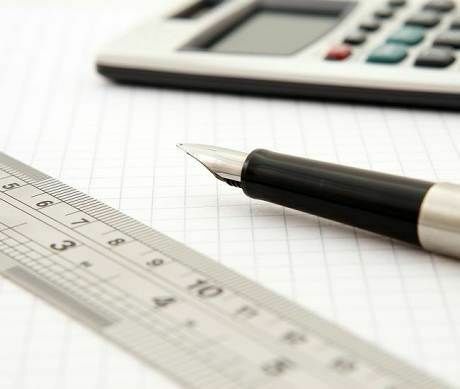 “The first concept was presented to top management a year later. This kicked off an intensive research and development programme that lasted until the new model was launched into produdtion in Indonesia in 2014. This was a tough challenge, but our experienced development team has met or exceeded all the targets set and the new Hino 500 Wide Cab is an even better truck than its highly-rated predecessors,” said Tamazawa. The complete vehicle carries a 24 month/unlimited kilometre warranty, which excludes batteries, tyres and normal wear and tear items. In addition, there is a 36-month rust perforation warranty and 24-hour Roadside Assistance during the warranty period. Warranties can be extended and there are several optional service and maintenance plans which can be tailored to a customer’s needs. 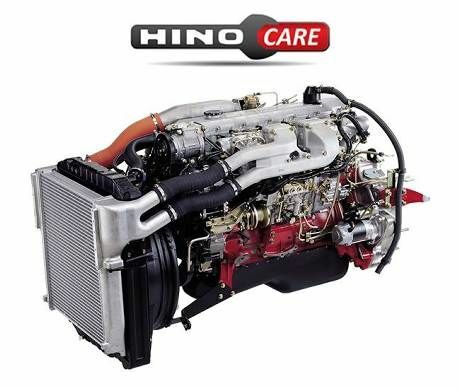 There is also a two-year warranty on replacement parts fitted at any one of the 66 dedicated Hino dealerships in South Africa. 4x2, 16-ton GVM: 1627 FC LWB; 1627 FC LWB AT; 1627 FC SLWB; 1627 FC SLWB AT; 1627 Tipper. 6x2, 28-ton GVM: 2829 FC LWB; 2829 FC LWB AT; 2829 FC SLWB; 2829 FC SLWB AT. 6x4, 28-ton GVM: 2836 FC; 2836 Mixer; 2836 Tipper. Abbreviations: GVM – Gross Vehicle Mass; FC – Freight Carrier; LWB – Long Wheelbase; SLWB – Super Long Wheelbase; AT – Automatic Transmission. Hino 500 Wide Cab on the Road.